With the World developing rapidly in terms of culture, technology, innovations, pharmaceuticals and education, Edwise serves all one's desire to Study Abroad. As Edwise, since the day been established, has proved its existence and inherited the saying 'One stop solution for Abroad Studies'. With the rise in the competitive institutions, Edwise has marked its presence with flying colors. With saying this, we at Edwise personify and design the process efficiently, irrespective of studies, course and training. Our knowledgeable and professionally skilled team will provide you guidelines throughout your applications process. We provide guidance related to scholarships, course-selections, bank loans, admissions and visa. We host education fairs, wherein, the students can directly participate and interact with the University Delegates and all of that Free of Cost. Since establishment and a successful completion of Silver Jubilee, we have a profound relationship and official representation with over than 500 universities, around the world, hence providing you an ambit to study abroad. We have professional counsellors to guide you with your dreams to achieve in foreign land. We cater you right from shortlisting the institutions to your departure from your homeland. 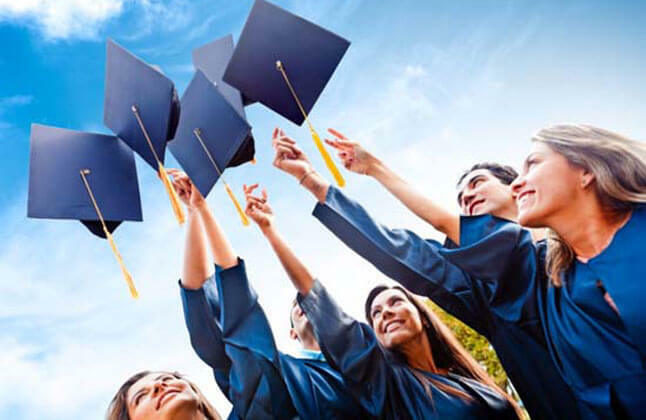 Saying so, Edwise provides with all possible assistance as we do have tie-ups with well-established private banks and financial institutes who offer educational loans to students at reasonable rates. Starting from with selection of banks and also assist in the application process right from the required paperwork to the eligibility criteria. Edwise will help you choose an airline that offers cheaper fares and excess baggage schemes. We are well connected with Forex dealers and ensure that our students get good exchange rates. Additionally, we also help you with demand drafts, traveller's cheques, international debit cards, wire transfers and currency notes. At Edwise, we help the candidates through the whole visa process from filling up the application forms, preparing financial statements to guiding and training for mock interviews. We always keep ourselves updated about the latest visa documentations and rules. Moreover, the guidance we provide for student visa is free of cost for all the countries. Our success rate in the same domain is 99%. Choosing the right destination is a grave decision, and is one that requires careful deliberation. Edwise will address all you concerns and will guide you towards the right study destination. Our team of counselors assist in selecting universities and programs in accordance to your needs and career goals. We offer our services by sending recommendations to universities on why you should be granted admission. Furthermore, we also provide guidance on the types of scholarship along with the necessary guidelines of these universities. At Edwise, we provide coaching for the language tests (IELTS, PTE and TOEFL) as well as the aptitude tests (GRE, GMAT and SAT). For the language tests the total duration of the coaching is 30 hours, where we provide complete guidance on the way these tests have to be approached. As the method of coaching is one-to-one, we make sure that each candidate receives individual attention. For the aptitude tests the total duration of the coaching is 100 hours, where 50 hours are dedicated to Quantitative Aptitude and rest 50 hours are dedicated to the Verbal part. Here, students are guided with necessary tips and tricks to achieve expected scores.